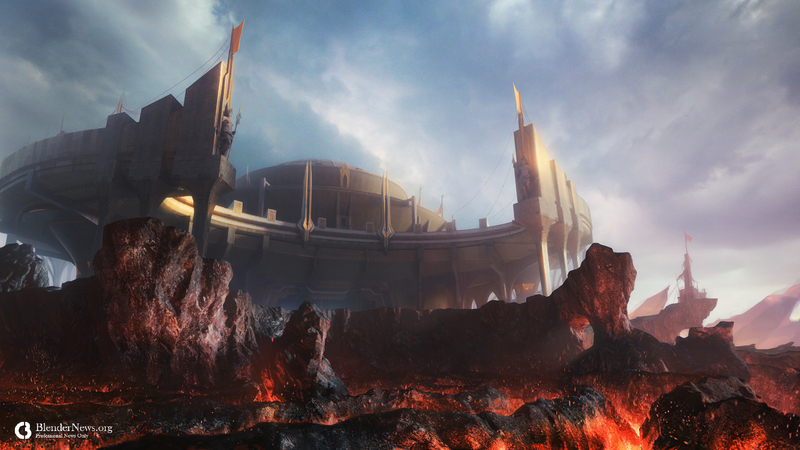 Utilizing 3D assets in digital matte-painting is a standard practice in the industry. And Blender can be more than perfect for the task as the winner for this week has demonstrated. So, it is with great pleasure that www.BlenderNews.org introduces to you the collaborative winners of the Render of the Week Award for the week of February 18, 2019: Sangil Yu. I am a concept artist and matte painter working in Korea. This is a personal project, and it is a series project that makes from concept to 3D layout and environment, and this work is the first one in a series. All the Assets were made in the Blander, and the Render used Blander Eevee.